You are currently browsing the tag archive for the ‘Titian’ tag. If you choose to reach for the stars, you will on occasion overreach and fall to the ground. And that, I’m afraid, is what has happened to the Royal Academy with its new exhibition Rubens and his Legacy. 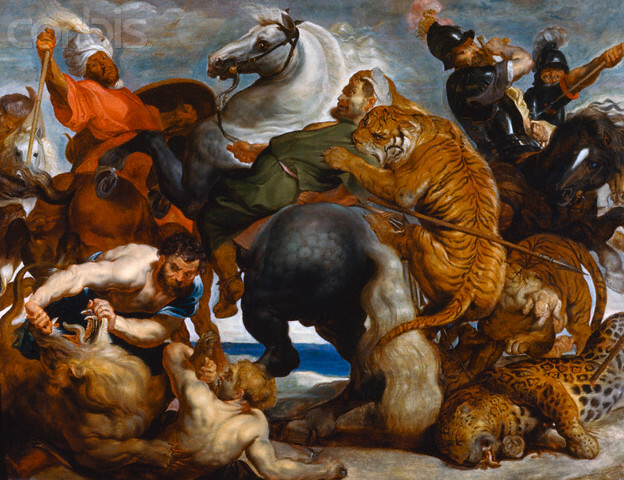 Like many others, I have been keenly anticipating this exhibition for some months and the opportunity I thought it would provide to revel in some fine masterpieces by Rubens and those who followed him. My sense of anticipation had been further heightened by Waldemar Januszczak’s recent and fascinating BBC4 programme on Rubens as painter, counsellor and diplomat. This exhibition was surely going to be up there with the National Gallery’s Veronese exhibition as a global ‘must-see’ exhibition. Alas, it is not to be.